Situated at the very entrance to town, the Gordana Apartments are a 10-minute walking distance to the lovely Baška beach and town centre. The apartment is situated in a quiet area, near the sea and town centre. Our guests can enjoy in our new swimming pool. The house has a large and beautifully maintained landscape. Parking within a fenced yard. The house has a large and beautifully maintained landscape. Breakfast on the terrace! Reading in your own garden of 50 m². Situated at the very entrance to town, the Palic Apartments are a 15-minute walking distance to the lovely Baška beach and town centre. Pleasant and comfortable apartments near the sea and town centre. Ideal for couples. Nice apartment located near the sea. This spacious, comfortable and nicely furnished apartment is located almost on the seafront itself. Apartment is located in the old historical centre of Baška. Pedestrian zone. Free parking at disposal in the immediate vicinity, cca 50m. Ideal for couples. Pleasant and comfortable apartments near the sea. The BaškaTablet is a national monument, significant for the Croatian nation. 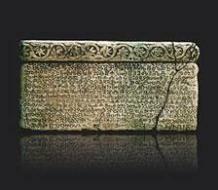 It is a glagolitic inscription, a document consisting of 13 lines carved in stone. The text documents a donation of the Croatian king Zvonimir (1075-1089) to the church of St.Lucy in Jurandvor, where the Baška Tablet was found inserted in the church floor. 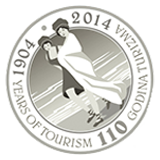 Why is there a growing interest in Croatia as a holiday destination year after year? bathed in the aromatic scents of the Mediterranean. The 5935km coastline is dramatically indented with over a thousand virgin islands. attractive bays and natural harbours – a true paradise for tourists. sense of obligations to provide access to the data.